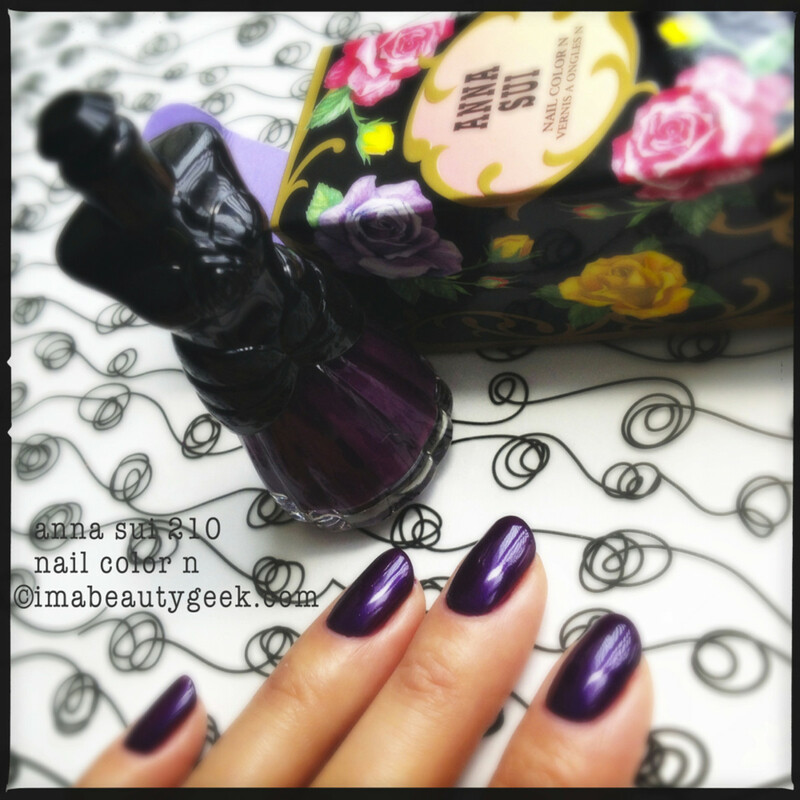 It’s important to me you get a real understanding of exactly how much love I have for Anna Sui nail polish. I love them. A lot. I love them a lot. Yes, a lot. Love. A lot. 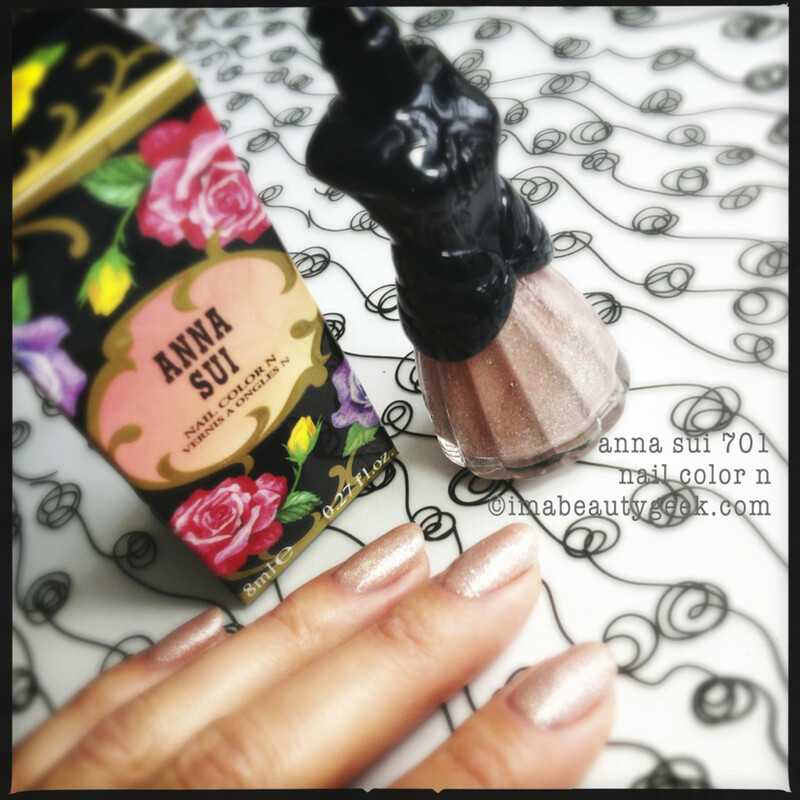 Let’s look at Anna Sui nail polish pictures! And while we’re doing that, let’s be sure to notice there are two kinds of dresses, yes? 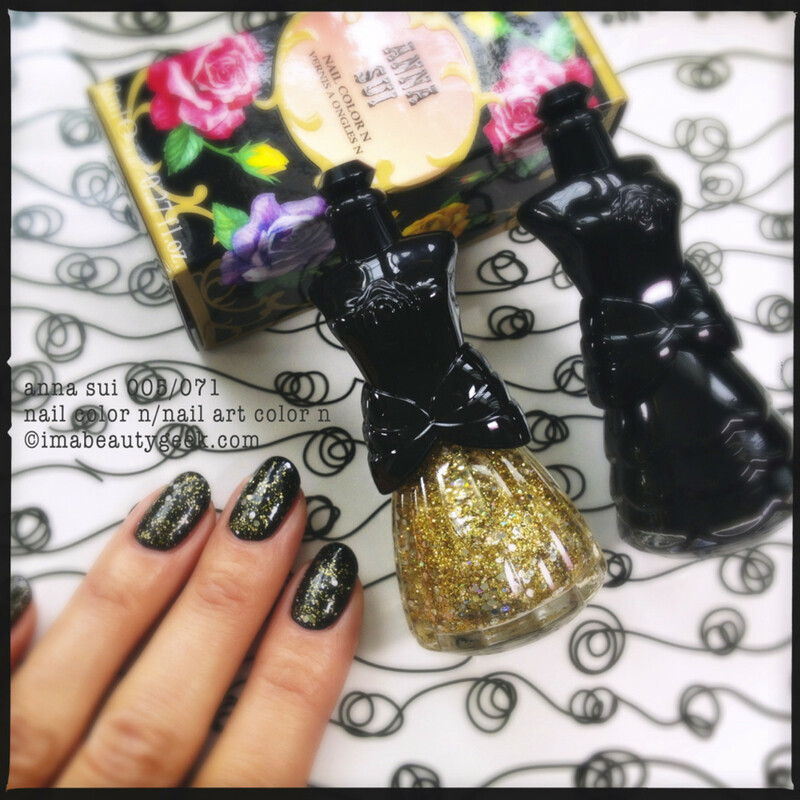 The straight skirted bottle belongs to the Anna Sui Nail Color N line (quick drying with a glossy finish) and the ruffled skirt is the Anna Sui Nail Art Color N line (solid shades from this line are vivid, opaque and super glossy while the glitter shades are high sparkle and shine). The differences between the two lines are to me, non-existent. Most of what you see here was done in two quick coats. 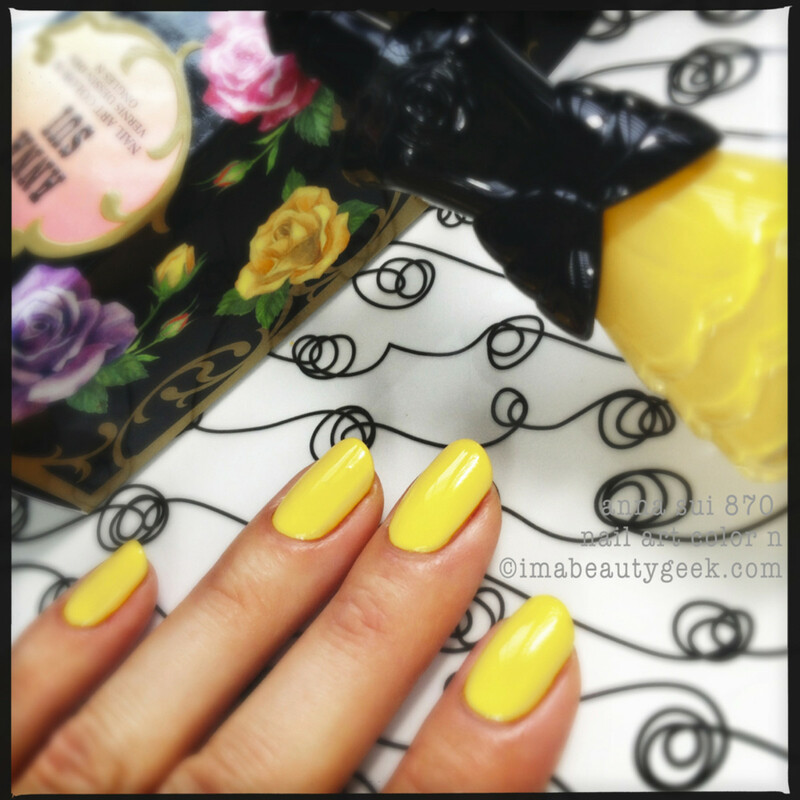 Of everything I swatched for you, only 270 Nail Art Color N was a OCW!! and 701 Nail Color N needed 3 coats. You can’t tell by looking, but it all smells like tea roses. It’s true. 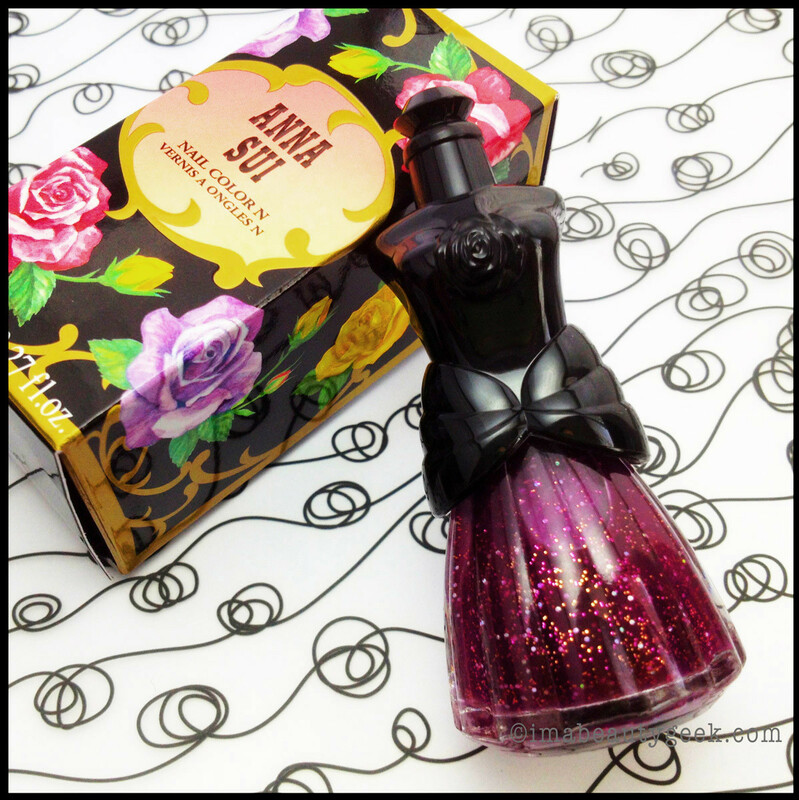 Anna Sui nail polish (and in fact all Anna Sui cosmetics) is infused with the delicate scent of tea roses. Don’t turn your nose up – seriously, it’s kind of wonderful. 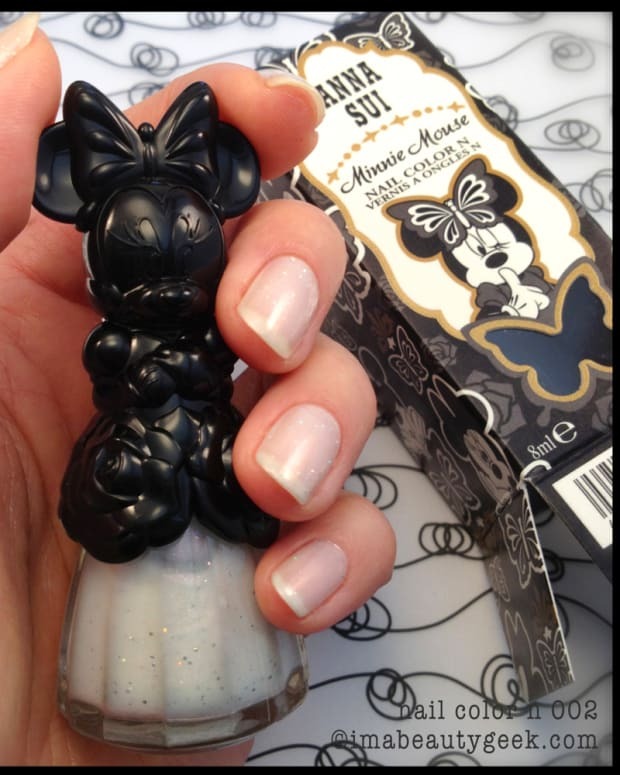 Lightly floral and not gross in any way, it’s one of the many things I quite adore about this stuff. 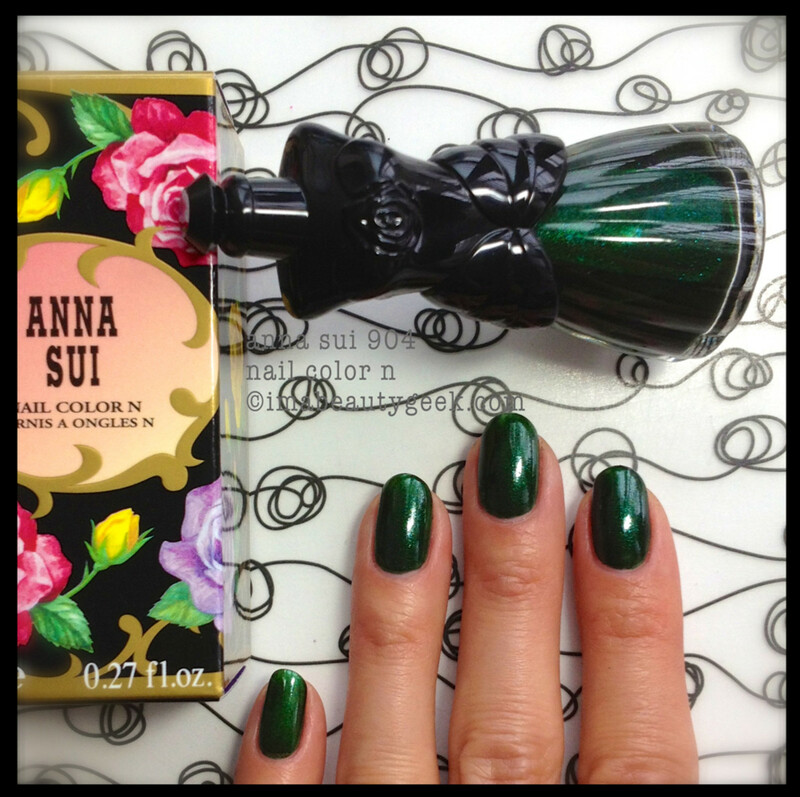 What else do I adore about the Anna Sui nail polish collection you ask? Uh, the bottles. Beautiful bottles with tops that fit nicely in your hand and are a pleasure to use. 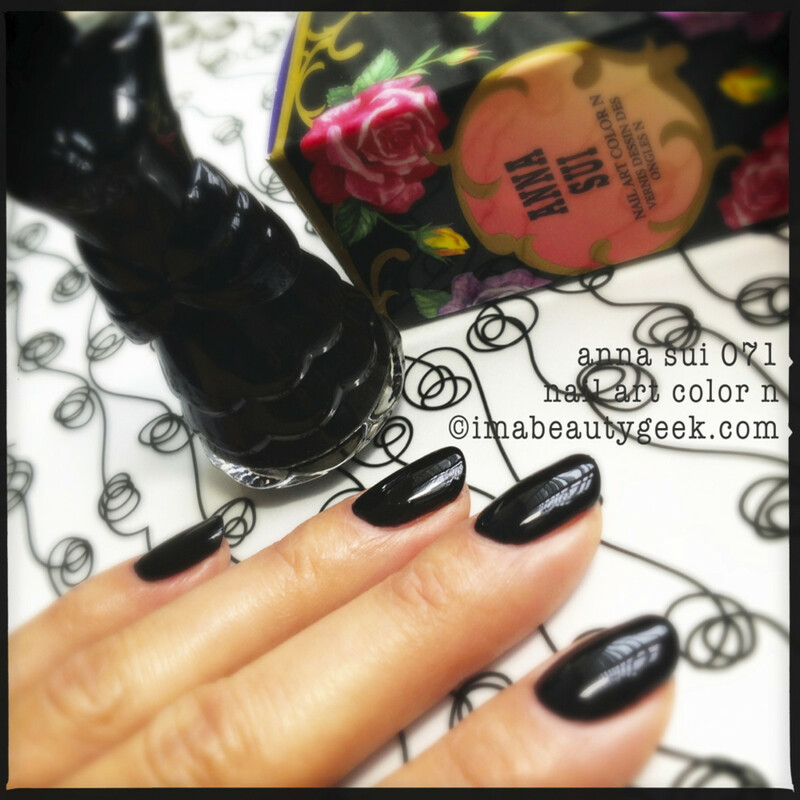 The brush is great, the application is great, the polish is great, the smell is great, the coverage is great, the self-leveling is great, the dry-time is great, the shine is great, the durability is great, the shades are great and the whole Anna Sui polish experience is great. I’m going to stop myself from raving any more about the greatness of this massive collection of polish (45 shades in all). In fact, I think I should probably tell you what I don’t love about them. Uh, nothing. There’s nothing I don’t love. 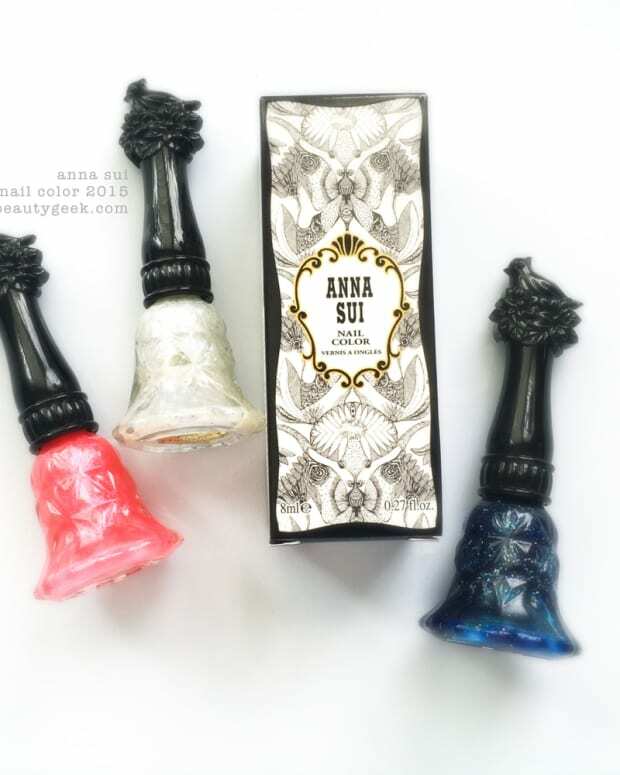 Anna Sui Nail Color N and Anna Sui Nail Art Color N ($15 each) available at select Hudson’s Bay stores and select Shoppers Drug Mart, PharmaPrix and Murale. 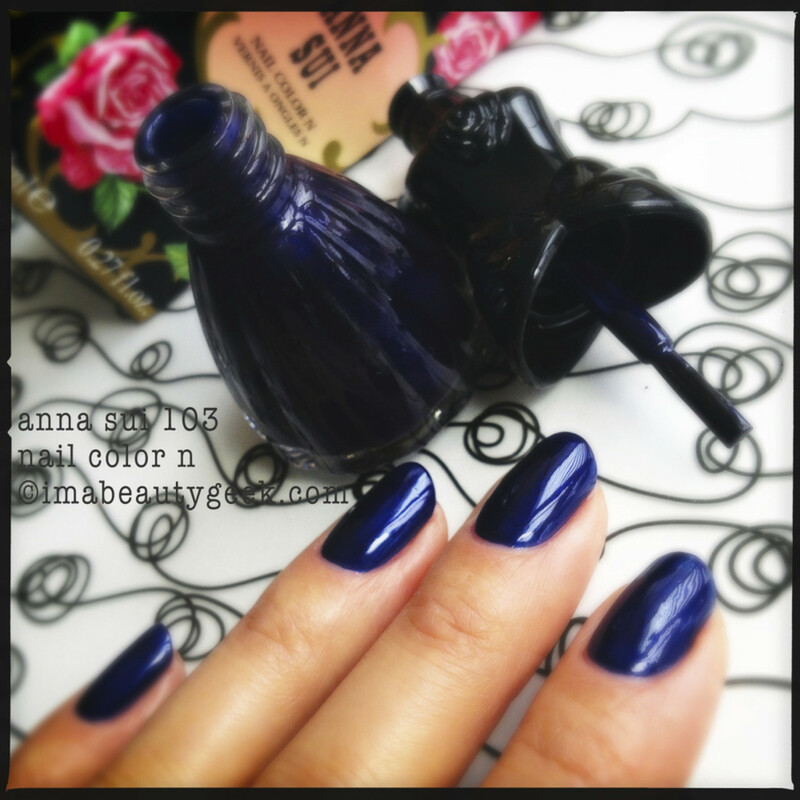 Manis ’n Photos by Karen Falcon (she has 26 orchid plants and one has a keiki on the way) ©2013 BEAUTYGEEKS/imabeautygeek.com. OCW! 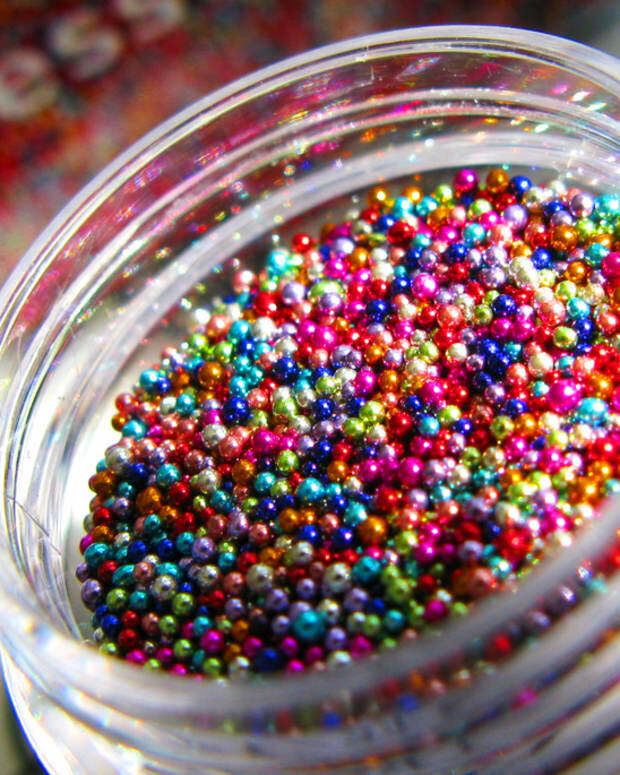 !=one-coat wonder! !